First of all, let me make one thing absolutely clear: I love Watchmen. This book was one of the reasons that I never stopped reading comics as an adolescent, and continue reading them to this day. It was pivotal in changing the way that the art-form was perceived, not just by fans, but by the general public. 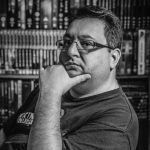 As a comic-book series, it was innovative; no captions, no thought balloons, no splash pages ’til the final issue, and text appendices at the back of issues 1-11 that would’ve made Tolkien proud. They contained dialogue that any screenwriter would kill for, art and draughtsmanship that Hollywood only dreams about, and characters that were believable and real, in situations that were often anything but. Alan Moore and Dave Gibbons created a book back in 1986 that is still a benchmark today, 31 years later. I say book, because this seminal piece of comics art has the honor of being listed as one of Time’s 100 greatest novels of all time. Back in 2012, to celebrate Watchmen‘s 25th Anniversary, DC Comics released Before Watchmen; a set of seven limited series and one-shot titles. There was a huge backlash from fans of Alan Moore, myself included, against these comics. 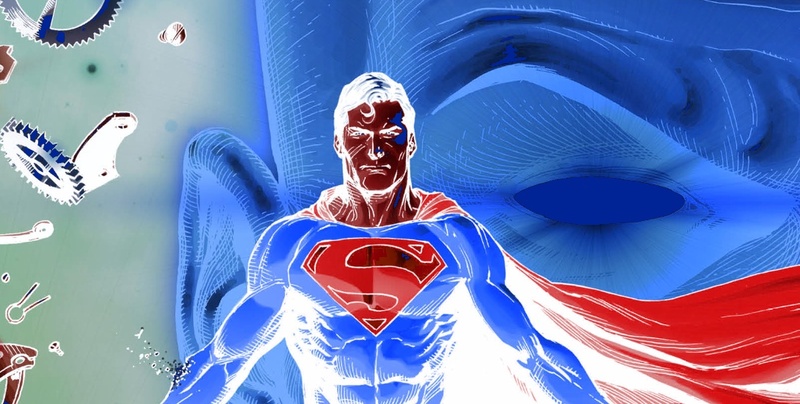 Alan Moore had been promised that the rights to these characters would revert to him, and artist Dave Gibbons, as soon as the book went out of print… but it never did. The Before Watchmen comics varied wildly in quality, but despite my initial vehement opposition to them, some were actually pretty good. They were reverential to, and respectful of the source material, so made for interesting reading. Commercially, they were a success, and spawned both hardback and paperback collected editions. None of them, however, set the world on fire, or will ever be remembered in the same way that Watchmen will. 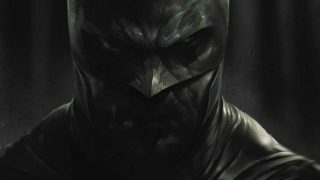 Which leads us to last year, 2016 – 30 years after Watchmen‘s original release – and DC Universe: Rebirth. Warning, this review contains minor spoilers, major conjecture, and massive flights of fancy. 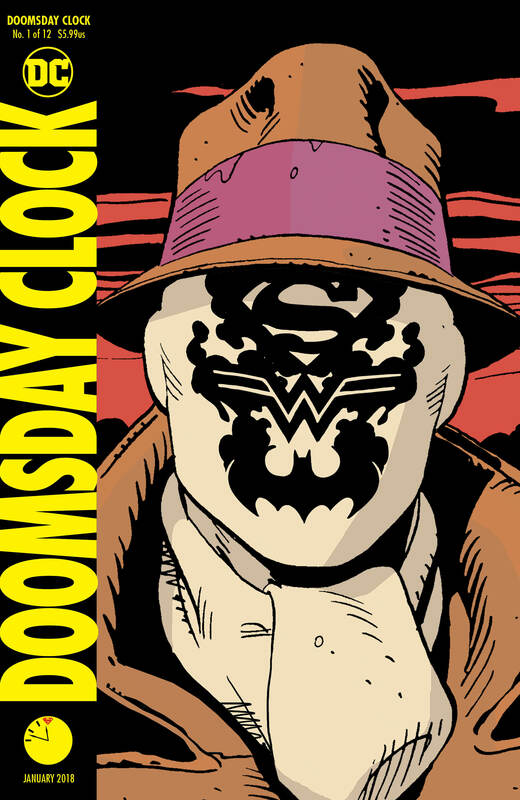 This one-shot title pointed to a convergence of sorts between the reality of Watchmen and the DC Universe. First in the art, and then in the way characters spoke, behaved, and in the way one character died. The book ended with Batman finding a familiar blood-stained button in the Batcave. 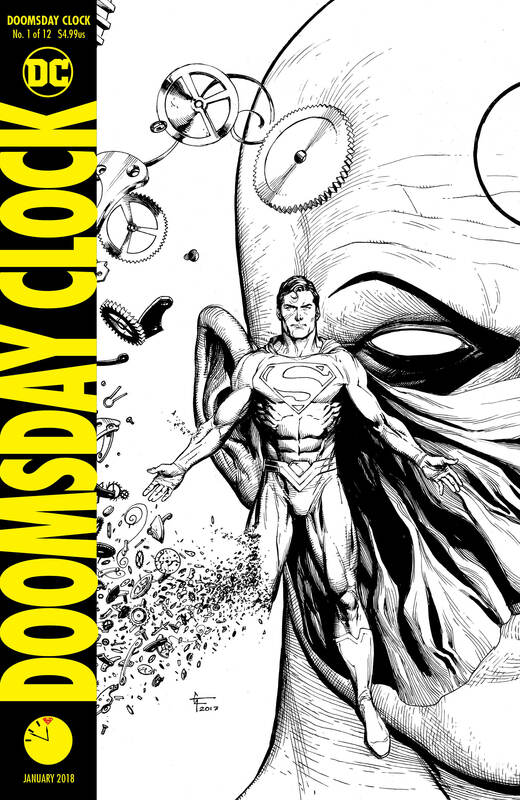 The story then continued into the Batman/Flash Crossover “The Button,” and will finally culminate in Doomsday Clock. I’ve already said that I was initially against DC ever making a sequel to Watchmen. 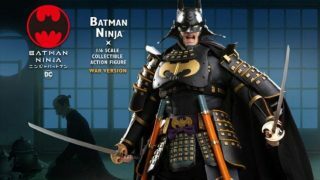 I thought it was a further sleight against Alan Moore, and disrespectful to the original masterpiece. Rebirth intrigued me, though, and “The Button” drew me in even further. The thought of DCs iconic characters interacting with those of Watchmen was a lure that I just could’t resist. 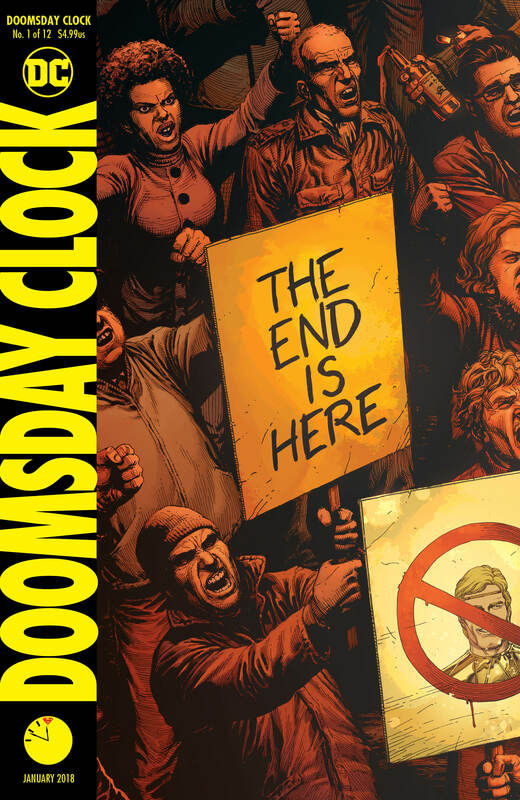 Yes, I was against anything like Doomsday Clock at the beginning, but issue #1 by the incredible team of Geoff Johns, Gary Frank and Brad Anderson, may make me eat my words. The atmosphere from the very first page lures you in. Not in a friendly way at all… oh no! These pages are the equivalent of hearing a noise in the middle of the night that one part of you knows you have to investigate, while another is screaming no… don’t! We have the story of a world, slightly different from our own, being told in the form of the diary entries of a familiar character who should be dead. 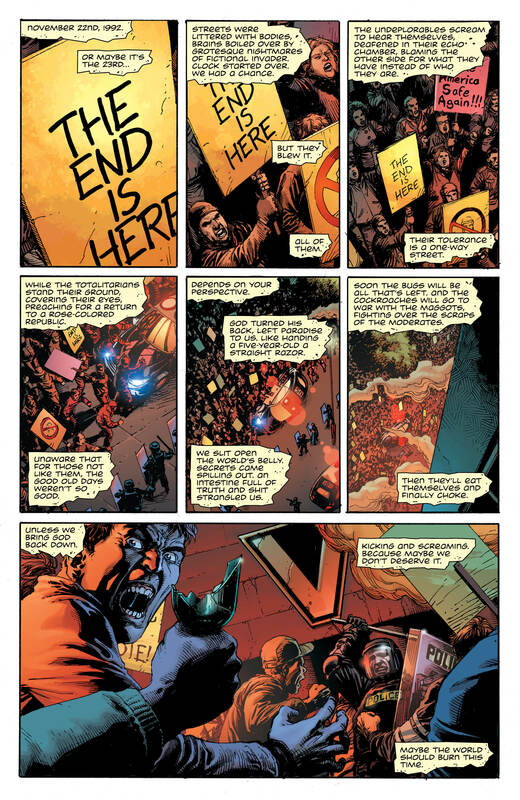 Everything feels similar to how it did in Watchmen, except for being completely different. 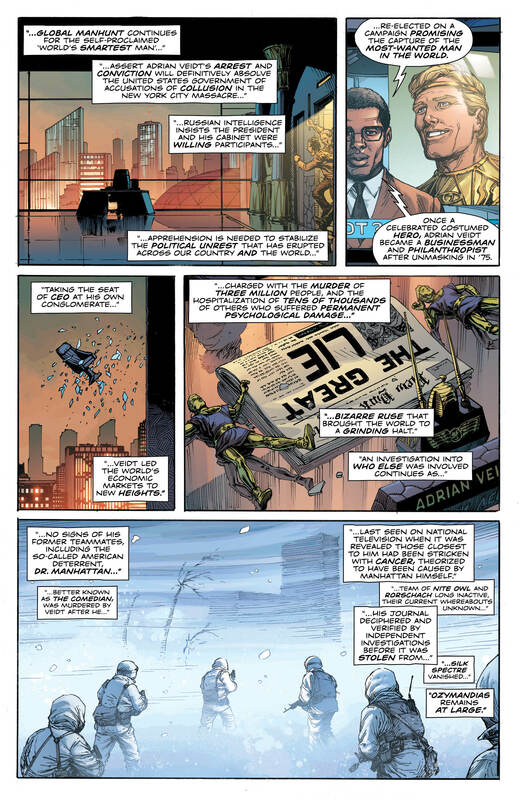 Walter Kovacs is dead, Doctor Manhattan has left this plane of existence, Dan Dreiberg and Laurie Jupiter have a new life, and Adrian Veidt is on the run for his crimes. 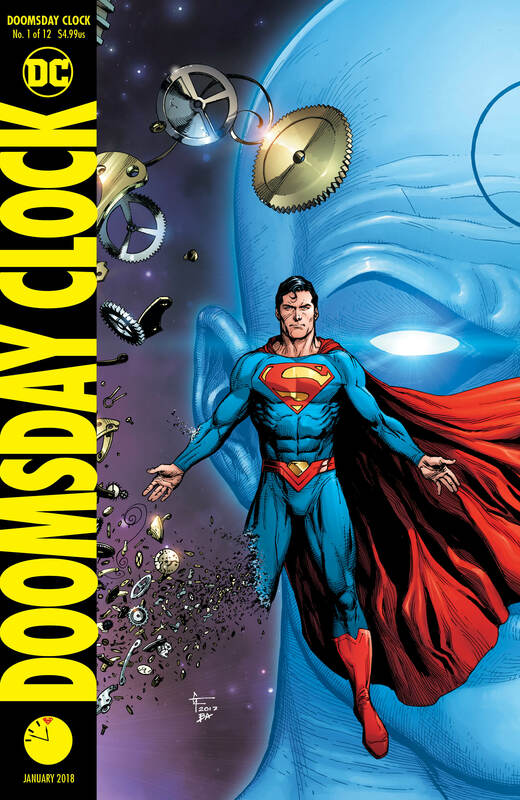 Suffice it to say that one of these characters is back in Doomsday Clock #1, and his return is both ironic and Karmic. The writing in this first issue is everything one could hope for. 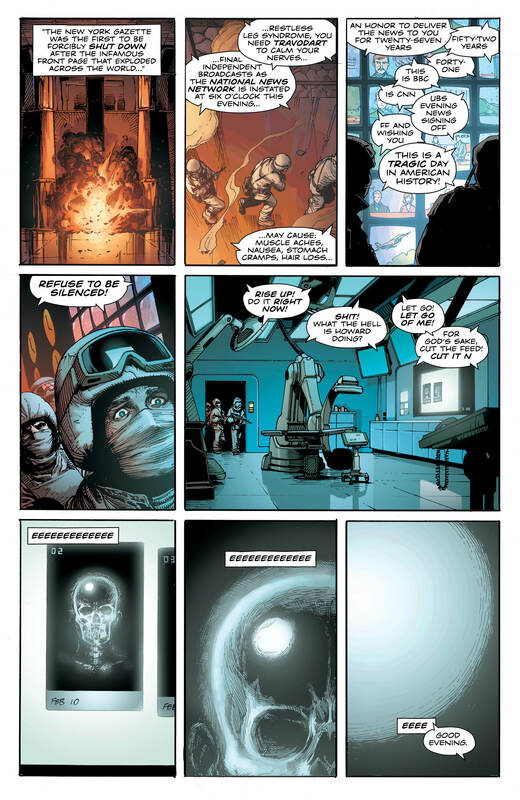 Geoff Johns recreates the claustrophobic feel of the original Watchmen perfectly. There are some really clever underlying touches, too. 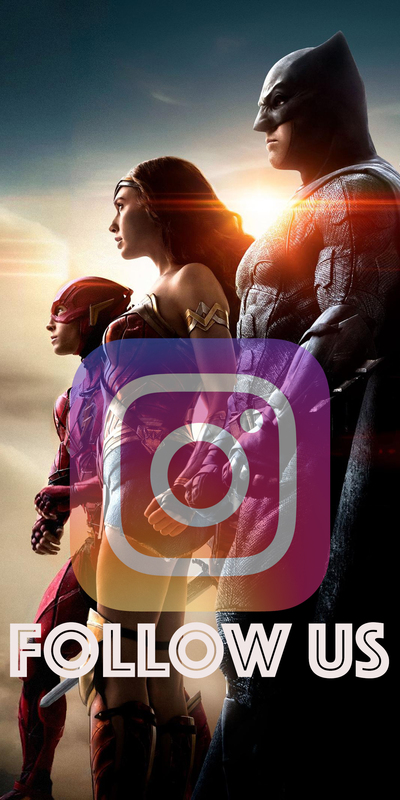 The characters from the DC Universe are clearly those of today, 2017. 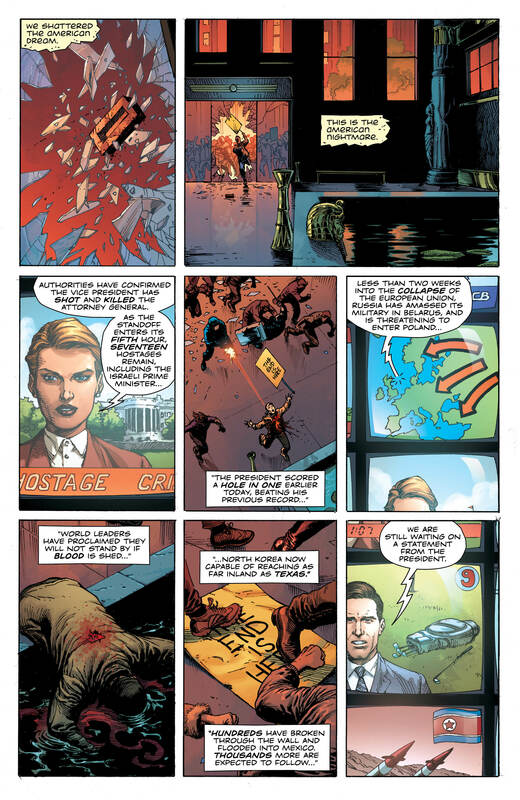 The characters in the Watchmen Universe, however, are still in 1992, only six years removed from the original story. 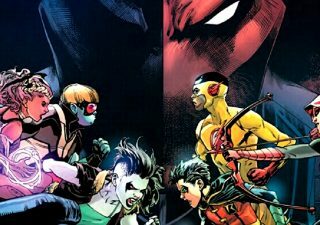 1986 was the year that DC’s first cosmic mega series occurred, the legendary Crisis On Infinite Earths, and six years ago their latest event crossover, Flashpoint, shook the DC Universe up creating the New 52 reality. 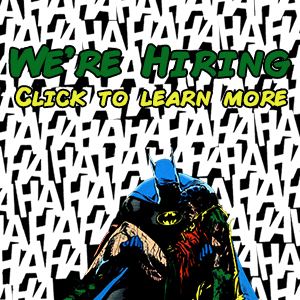 Two six year gaps, and two universe altering DC Comics events… Coincidence? I believe that Geoff Johns is far too clever for that. When chatting with fellow DKN writer Steve Conroy, we also discussed a certain blue hand at the dawn of the creation of the DC Universe. Krona, Ganthet… or a certain Jon Osterman? 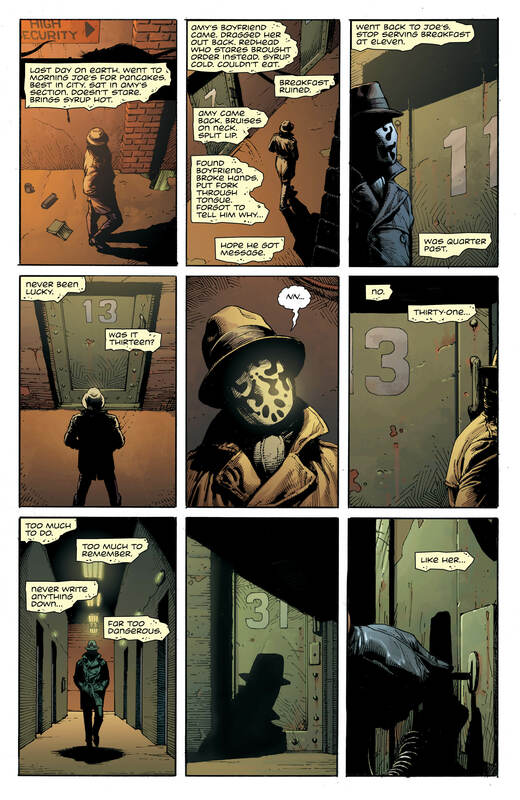 Geoff Johns’ version of Rorschach is as awesome, and as disturbing as he ever was. His use of a location from the original story, brought so vividly to life by Gary Frank, has me on tenterhooks. Who is this Rorschach? A comic reading street kid? (yes, he looked dead but looks can be deceiving.) The previously unmentioned child/nephew of someone with access to the original Rorschach’s files, recordings of his voice, and his complete psychiatric profile? Or is this Walter Kovacs’ own child/protegee? 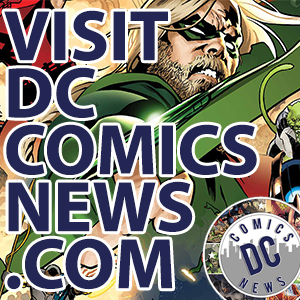 DC Comics are famous for having characters pass on their mantles. Even the original Watchmen had legacy characters, with the multi-generational Silk Spectre, and both Nite-Owls. Now I need to talk about Gary Frank’s art! The grid layout is back, and used to full effect. The eye follows the action, and the story flows smooth as silk. Gary is a first rate artist. His action scenes have always wowed, but the way he captures the everyday without making it mundane is phenomenal. The one drawback is that Gary can draw some awesome splash pages, which I miss. Though, if this series follows the structure of the original Watchmen, then I’m really, really looking forward to issue #12! Brad Anderson’s color work is cherries, toffee sauce, sprinkles and everything sweet and delicious combined. 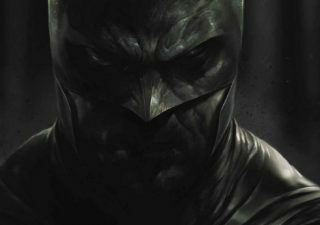 His use of light, texture and shadow is amongst the finest you’ll ever see in any comic-book. Period. In my humble opinion, Brad could be the finest color artist working in comics today. As first issues go, this one is an absolute winner. Yes, the DC Universe characters only appeared at the end of the issue, but what an appearance! 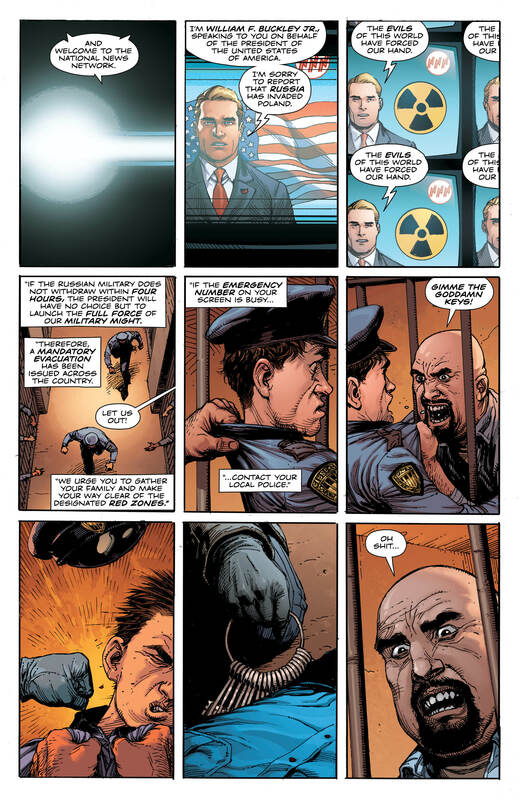 The use of the Watchmen characters has been brilliantly, and respectfully handled. 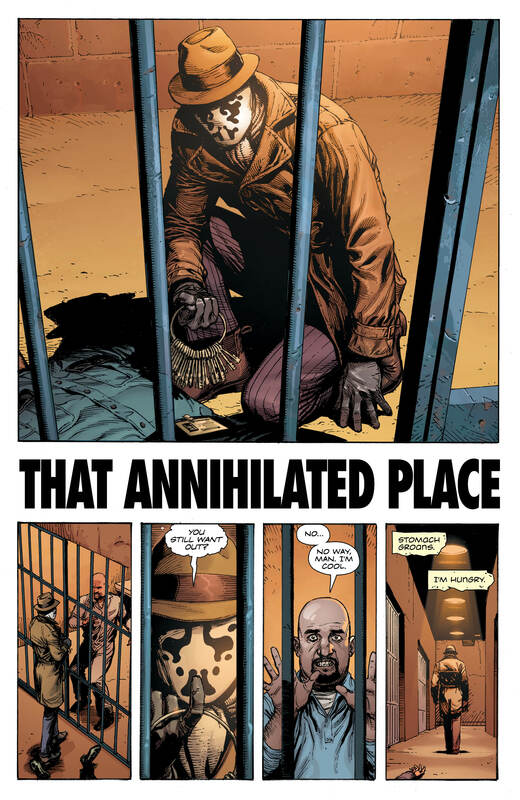 The writing is perfect, and I could wax lyrical about Gary Frank and Brad Anderson’s art for days on end. 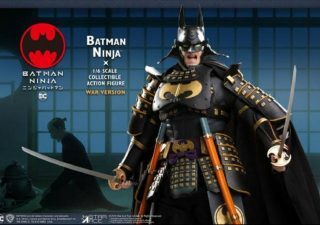 Yes, I was initially very sceptical about any sequel to Watchmen ever being attempted, but I am now a believer. I hope that every issue maintains this quality, if they do I am going to love reviewing this title. It’s going to be a wild ride!